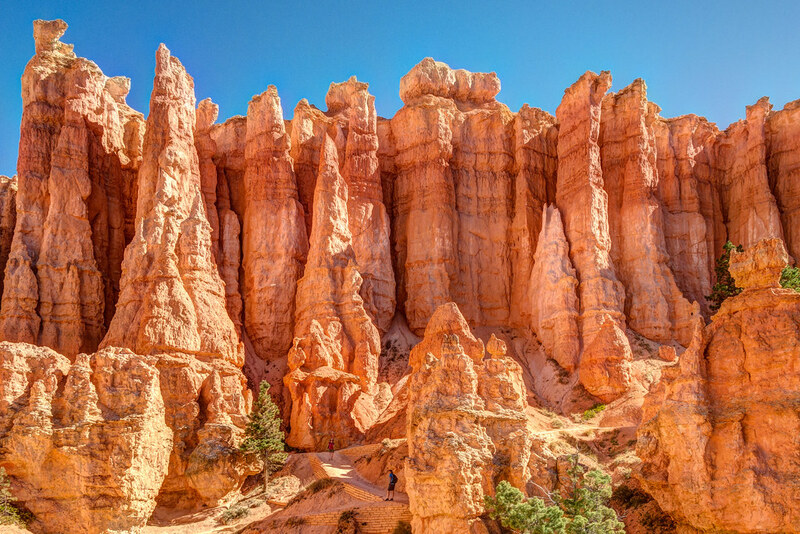 Bryce Canyon National Park is home to the largest collection of hoodoos in the world. It is a collection of giant natural amphitheaters along the eastern side of the Paunsaugunt Plateau. Red, orange, and white colors of the rocks provide spectacular views for visitors. The rim at Bryce varies from 8,000 to 9,000 feet. We were lucky to get a room at the Lodge for two nights so we could be in the center of things in the morning and at night. Our hike through Queen's Garden and Navajo Loop gave us a grand tour of the hoodoos and chasms in the canyon. Each night a shot moonrise Milky Way shots over the hoodoos.